Come for the boos, stay for the booze! Come join us, IF YOU DARE! Get spooked, and get sloshed in our Octobeerfest x Halloween Party in GoWork Pacific Place. 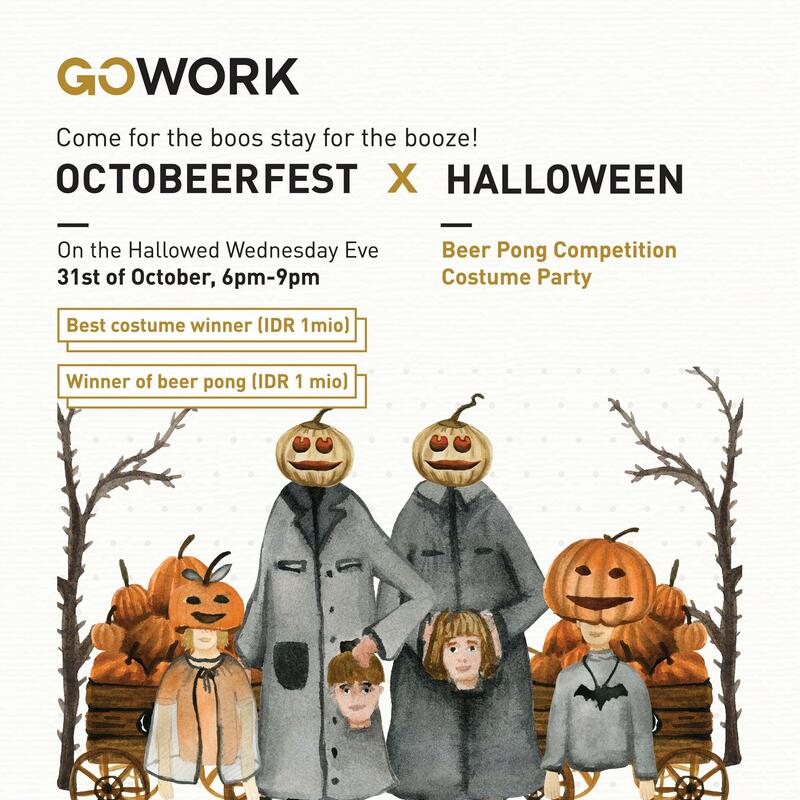 RSVP on GoWork Apps, and be sure to put on your best costume, because besides the beer and company, there will also be rewards for the best costume!